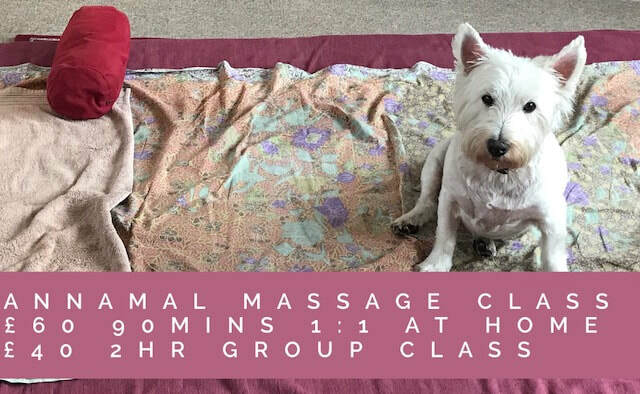 This Annamal Massage Class will teach you the skills and techniques to massage your dog. You will learn many massage movements, such as effleurage, petrissage, kneading and light percussive techniques. You will also learn key acupoints' for health and wellness. This is by no means in place of any veterinary or medical treatment. It is advisable that you inform your vet that you want to attend. If you have any questions about Annamal Massage, I would be delighted to chat with you. ​Download the booking form and email it back to Anna here.